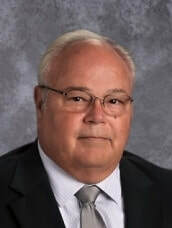 Mr. David Stein earned a bachelor’s degree in secondary education, Bible, and physical education, as well as a master’s degree in school administration from Maranatha Baptist University. He has been Administrator at HHCS since 2015. In his spare time Mr. Stein enjoys spending time with his grandchildren and boating. He and his wife Janet have two children and four grandchildren.